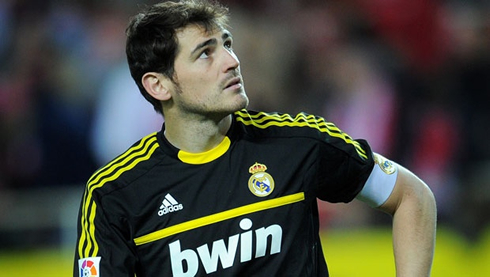 ﻿ What impact will Iker Casillas' injury have in Real Madrid's campaign? 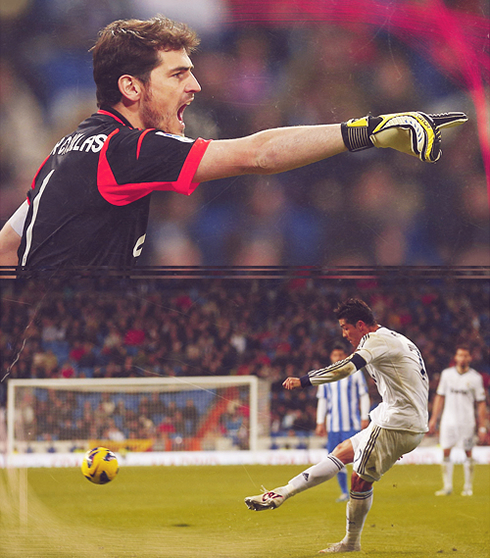 25.01.2013 » What impact will Iker Casillas' injury have in Real Madrid's campaign? 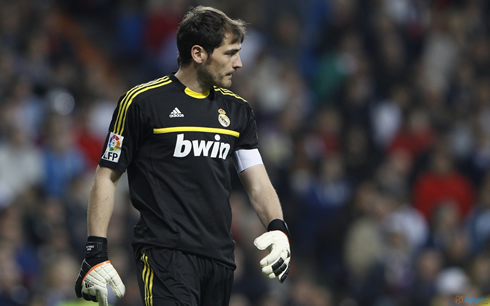 Real Madrid have lost Iker Casillas to injury this past Wednesday and latest medical reports suggest that the Spanish goalkeeper will be sidelined for roughly 2 to 3 months. With 3 Clasicos against Barcelona and the UEFA Champions League tie against Manchester United scheduled for the upcoming weeks, is Adán really up to the task or should Real Madrid sign a new goalkeeper? Will Cristiano Ronaldo's rising form turn out to be enough to compensate this massive blow at the back? Anyone will surely agree that this season continues, unexpectedly, with a series of unfortunate events staggering Real Madrid's path to glory. From trying to battle the inconsistent performances, to witnessing La Liga's title hopes being wiped out (as it has become nothing but a farfetched dream), or even to face one of the deadliest "come backers" of the English Premier League and that in such a premature stage of the UEFA Champions League, the Merengues will certainly have a lot in their hands to handle. 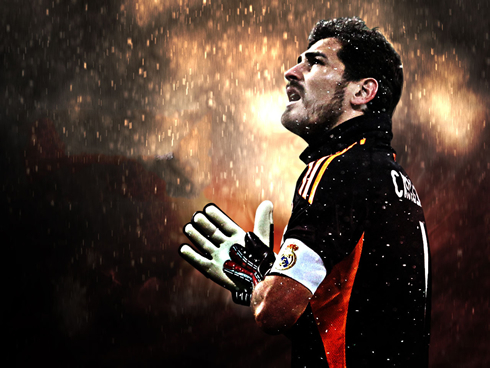 Real Madrid's defence, which has so far this season no way been close to its deadly standards, recently suffered yet another blow with its star goalkeeper, Iker Casillas, sustaining a hand injury during an action against Valencia, in the second leg of the Spanish Copa Del Rey. 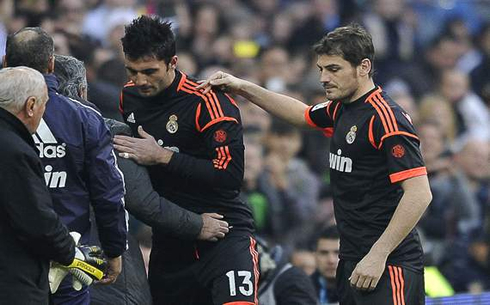 Casillas had to be substituted in the middle of the game against Valencia CF, after being miskicked by his own teammate, Alvaro Arbeloa, while trying to clear the ball away. Latest medical reports indicate that the Real Madrid captain has sustained a fracture in his left thumb and will not be medically fit to return to play, for at least 2 to 3 months. 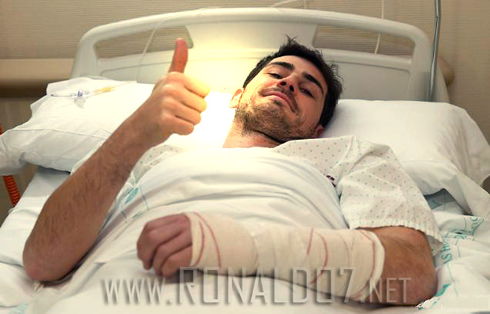 Iker Casillas will go through a surgery this Friday afternoon and a more accurate prevision is expected to be announced later on. This news has created a shocking and ineffable impact amongst the Madridistas, who know that with Pepe already out of action at least until the first leg of the Champions League clash against Manchester United (due to his ankle injury), as well as Marcelo's fitness problems promising to drag for a few more weeks, Iker Casilla's injury means that the stronghold of Real Madrid's defence is completely broken and transparent. 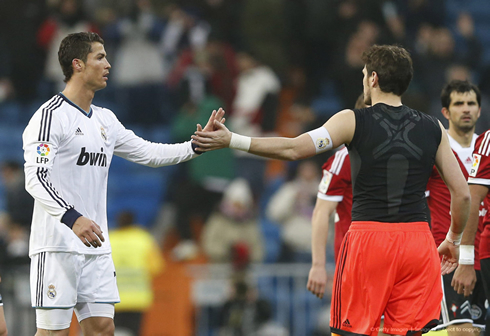 This explicitly means that Casillas will be ruled out not only for the two Real Madrid vs Manchester United matches, but also for the two Copa del Rey's semi-finals "Clasicos" and the encounter for La Liga. The first big game will be a Real Madrid vs Barcelona match right next Wednesday and it will definitely work as a tremendous test for José Mourinho's patched defence. Should Real Madrid go after a new goalkeeper signing before the transfer window closes on January 31, or should the Merengues rely on Adán to rise to the occasion until Casillas gets back by April? Bringing in a new goalkeeper to immediatly become a starter may also do more harm than good in some cases and everything will have to be put into consideration over the next few days. You can check out Real Madrid's full schedule for the upcoming weeks and check out the tough series of games that the Merengues will have ahead of them. With the likes of Antonio Adan close to become the first choice goalkeeper in the brief but yet crucial period of Casillas's absence, surely doesn't ease things at all for the Merengues. Much less after the howler against Valencia, which cost José Mourinho's men a goal that could have led to a big upset at the Mestalla, if it hadn't been for the comfortable advantage brought from the first leg. At this stage, we can do nothing but simply cross our fingers in hope that Mourinho has an ace up his sleeve and also that the players do not add a heap more to their card collection (which has been on an ascent lately). With Manchester United and Barcelona about to lock horns with Real Madrid, the Merengues must find a quick solution to sort out their problems at the back, otherwise, they can probably virtually kiss goodbye to even the slightest possibility of a berth in UEFA Champions League quarter finals, as well as earning a ticket to the Copa del Rey final. Will the champions still rise? Cristiano Ronaldo next game for Real Madrid will be again Getafe, for the Spanish League "La Liga", on January 27, 2013. The game will take place at an unusual time, as it will be played at 12:00 (PM), local time. You can watch Juventus live stream, Real Madrid vs Getafe, Barcelona vs Osasuna, Manchester United vs Fulham live and Brighton vs Arsenal, all matches provided from our football live streaming section.